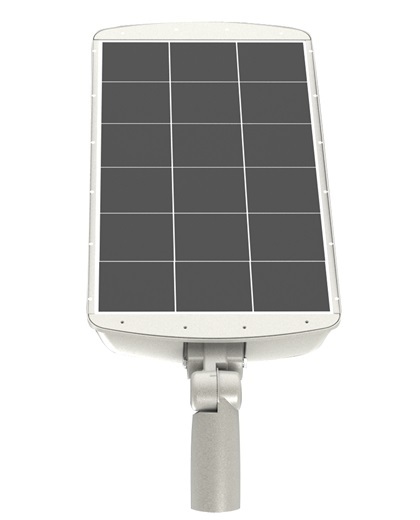 The RemPhos solar area light features an all-in-one design. The solar panel and battery are built into the LED fixture. 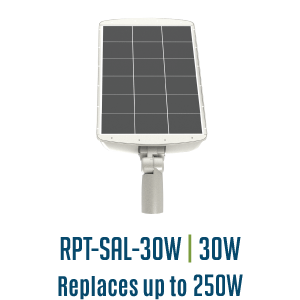 No need for a power source, which eliminates the need for trenching or wiring. Perfect for parks, parking lots and transit stops. 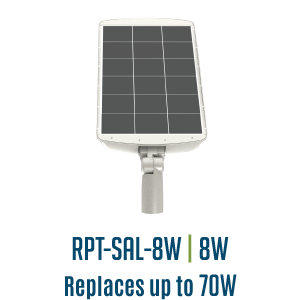 This fixture will turn on at night automatically and can be set to either stay at 100% light output or dim down if there is no motion.